These days it's so easy to pick up the phone, open an app and snap your virtual fingers for service in many categories, like ride-sharing, grocery deliver and even maid service. But there many be a problem if the service you're using sends sub-contractors into your home - especially if it's a house cleaning gig. Are the cleaners TRUE company employees? Companies that use sub-contractors (AKA 1099 workers) can afford to discount their services because they can skirt many labor laws surrounding company employees, namely quality job training, payroll taxes, worker's comp insurance and minimum wage standards. 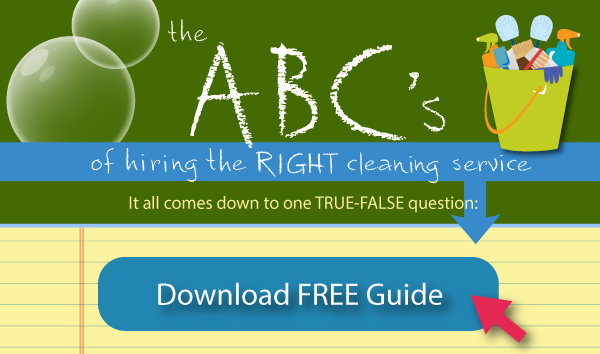 Download our free guide for yourself or share the link with someone you know who is looking for a maid or cleaning service. Choosing the RIGHT cleaning service is an important decision. Complete the quick estimate form below to find out what it will cost to clean your house the right way.